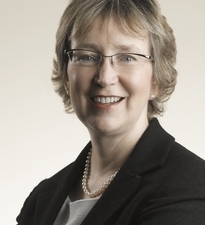 Linda is a non executive Chairman and Director, a past Chief Executive and now Chairman of Morton Fraser, a UK law firm with offices in Edinburgh, Glasgow and London. She is also Chairman of Investors in People Scotland, on the board of Scottish Enterprise and the CBI and and is a non executive Director of the Scottish private bank, Adam & Co.
She is also a member of the Edinburgh Business Leadership Forum, the UKCES Advisory Board on Investors in People, a member of the Development Board of the Prince’s Trust Scotland and an Ambassador for Girl Guiding UK. Linda won the Readers Award in the Insider Corporate Elite 2003 and The Association of Scottish Businesswomen Outstanding Contribution to Business Award 2009. Married with two daughters, her leisure interests include singing, sailing, golfing and skiing. I met Linda in the stunning new offices of Morton Fraser at Quartermile, Edinburgh. Many years ago, when I worked for a dialysis company, I was a regular visitor to this part of Edinburgh as this was the site of the Royal Infirmary. Gone are the blackened buildings and the gloomy wards and in their place is this wonderful new building overlooking The Meadows. Linda is a successful lawyer, businesswoman and Chairman of CBI Scotland so I am delighted that she agreed to share her story with the3rdi magazine. Educated at Edinburgh University I spent my traineeship with an Edinburgh law firm and moved to Morton Fraser when I completed that traineeship. I’m a very boring ‘joiner’. You know them, the keen girl at school. The girl my teenage daughters think is really un-cool. I like doing new things, I like taking part and I’ve found that if you join in and offer to help, whether it’s as a volunteer or a committee member, you learn more and get much more out of an organisation. In my business, I found that I was interested, from an early stage in how the business ran, not just in doing my job. I asked questions, I suggested ideas and gradually I took on responsibility. I also like to learn new things and so I did some training in management. I have been CEO of the firm since 1999. I’ve also got a low boredom threshold, probably not suited to being a lawyer at all (although I was good at it when I did it). I like variety and so I have seized opportunities as they have come my way. Chairmanship of CBI Scotland is one of those opportunities. My firm has been a member of the CBI for many years but we had never been very active. I was elected to Council a few years ago and found the work of the Council fascinating. CBI lobbies Government on behalf of business and membership of Council gives you amazing access to the corridors of power, meeting Ministers of both the Westminster and Scottish Governments. I am keen that the value of business is recognised more broadly in the community. We need a successful economy to enable us to tackle social issues and I am pleased to be able to use my role at CBI to get this message across. Throughout my professional and business life I have found myself making connections and I now enjoy helping others to make connections which are beneficial to them. The Morton Fraser Business Women’s Network is a great example of this. We are able to bring together our clients and contacts in a very friendly, supportive environment to learn and to meet each other. We have had business out of this, we’ve given some of our members business and we know that members have given each other business. I mentioned getting involved. It’s taken me a long time to realise that not everyone participates. Many people expect to get but not to give. So if you do give, you tend to stand out and the reward is that you’ll get much more out of the organisation, understanding it better and getting to know people better. On a different kind of giving back, I am involved in two charities, the Prince’s Trust and GirlGuiding UK. Doing something for others is a big part of who I am because of how I was brought up. People often ask me how they might go about getting non exec experience. Being on the Board or committee of a charity or voluntary group is great experience and also introduces you to a whole new network of people. I got into the Prince’s Trust because I and my own teenage children have been able to take for granted what the young people the Trust helps don’t have. Homes, family and someone looking out for them. I felt that I could share a bit of what I had with some of them. Little did I know how interesting and rewarding it would be and, as a spin off what good networking opportunities it offered. In terms of giving something back too, I am a passionate believer in having more role models of successful women in business. I don’t believe you can have it all but you can have lots of it and I think we have a duty to encourage young women we meet, whether in our families or organisations, to do their best and meet their potential. Great to get an inspirational buzz within such a short article! I do believe that pro-active giving allows us to “get” far more than simply receiving from others. Thank you for reminding me of this. Linda, to me, is one of those genuinely inspiring people who just does a lot of great things quietly. She astonishes me with the way she always has time to respond personally, attend your important (to you) events and provide support all over the place, in spite of her huge workload. I really salute her.